I love SmartWool! I wear my it year round, well the socks at least. Somehow SmartWool has taken the itch out of wool and made it completely washable without turning into felt. Wool is the best natural fiber for warmth, and it does not get stinky like some of the newer synthetic fibers found in outdoor clothing. 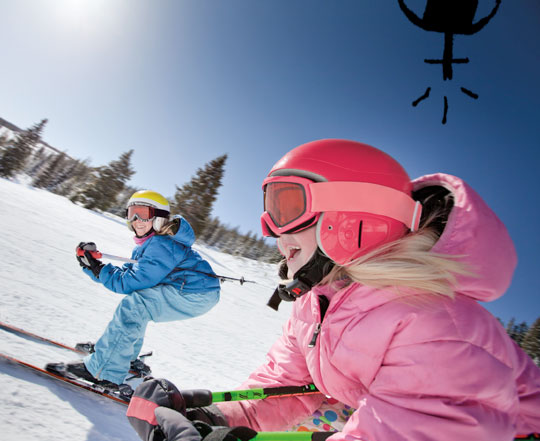 Even if you don’t take your kids on outdoor adventures, they deserve the luxury of SmartWool. They are the only socks I will buy for my kids, as they hold up over time and last beyond my two kids hard usage to be passed on to friends. A smaller version of SmartWool’s classic Hiking sock for adults, the Kid’s Hiking Medium Crew offers an elastic arch brace and flat-knit toe seam, keeping the sock in place without bunching. Made in the USA of New Zealand Zque™ Merino wool. Just like Dad’s version, this sock is the ultimate street trekker or jungle gym climber. Made in Korea of Merino wool. Kids’ Double Insignia Socks: These are brand new, lightweight wool socks that have not even hit the market yet! They are ideal for layering and warmer weather. Girls’ Dotted Footless Tights in Claret: This is also a brand spanking new product yet to be available and super cute. I love a footless tights, especially with little ones. So much easier to put on, and those little toes can be kept warm with SmartWool socks over the top! Would I buy these products? Yes, Yes, Yes! SmartWool has figured it out! How to provide warmth, softness, and high quality products for the whole family. Of course, it comes at a price, but sometimes you have to dish it out for the true luxuries in life. I love Klean Kanteen. Even though I have tried many, many stainless steel water bottles, Klean Kanteen is the brand I trust for quality and consistency. They were the first company I was aware of to feature a non-plastic sippy cup (except the lid), and now that cup is available in bright colors! Every new parent wants to make sure their baby’s environment is as healthy as possible. Klean Kanteen® can help with that. We designed a special adapter that works with Avent’s™ patented sippy cup spout. It’s BPA-free polypropylene and integrates seamlessly with our 12oz Klean Kanteen® Classic bottle. The bottle is made from 18/8, food-grade stainless steel that’s totally free of BPA and other toxins. Because stainless steel itself is safe, we don’t need to coat the inside of the bottle with a plastic or epoxy lining, which is one of the main differences between a stainless steel Klean Kanteen® and aluminum bottles. Food-grade stainless steel is used in the brewing, food and winemaking industries too. It’s the material of choice because it doesn’t retain or impart flavors. So apple juice tastes like apple juice, nothing more, nothing less. 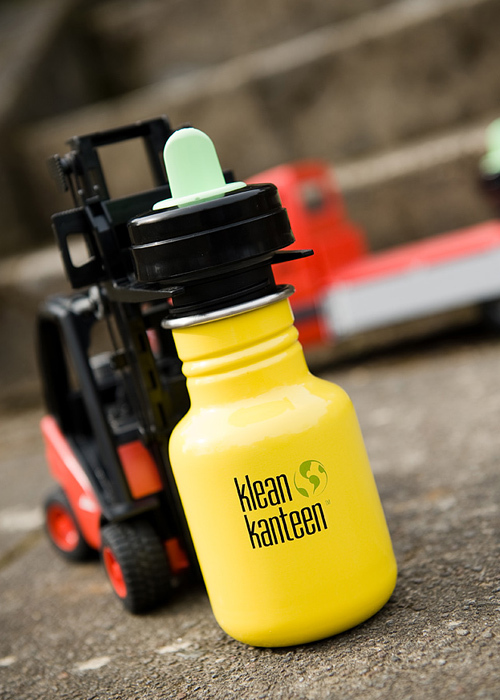 You can rest assured that your child’s Kid Kanteen® Sippy is totally safe and flavor-free. We have had a Klean Kanteen sippy cup for four years and have never, ever needed to replace a part. It has held up to much abuse, and it is still a favorite of my son even though he is older. Would I buy this product? Yes. I already have, and I would again! When I was looking for a less toxic, safe car seat, Britax was the company I turned to. Now the company is making organic baby carriers! The BRITAX BABY CARRIER ORGANIC, made with 100% organic cotton fabric, has been designed to provide the highest level of long-wearing comfort for both you and your growing baby. 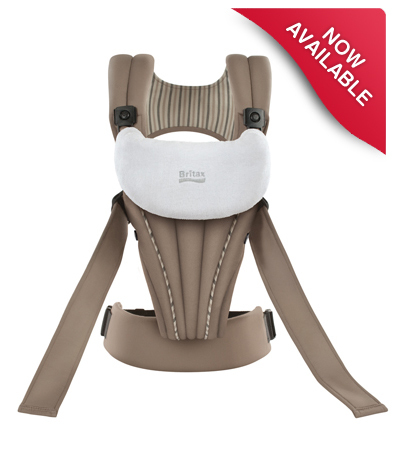 The BRITAX BABY CARRIER ORGANIC features the CarryLong System, which reduces the risk of back and shoulder strain during extended wear by distributing weight across the shoulders, back and hips. This carrier reminds me of a cross between a Baby Bjorn and a ERGOBaby carrier. Although I have not tried it with an actual baby, as my kids are growing up, I do like the thicker waist belt and think that would help distribute the weight over long periods of wearing similar to a backpack. Would I buy this product? Maybe. Like other organic baby carriers, it is pretty expensive ($140), and you can get the ERGOBaby carrier cheaper. The extra padding on the straps and waist belt may be worth the extra expense, as it promises to offer “long-lasting back and shoulder comfort”. Note from Britax: Just one comment, re: price in comparison to Ergo…Our carrier includes the infant insert and they sell their insert separately for $38. If parents plan to use from birth, the Organic Ergo ($135 + $38 = $173) ends up costing more than the Organic Britax Baby Carrier ($139). This homeopathic shampoo combines the power of tea tree oil to prevent head lice infestations. 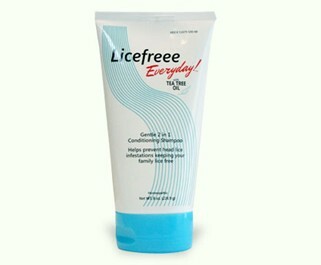 If you have ever had to deal with head lice, you would do anything to prevent it! Licefreee Everyday! Shampoo is a homeopathic formula that contains naturally occurring ingredients to create an environment where head lice do not like to live. It is designed to be used in place of your regular shampoo. Licefreee Everyday! Shampoo also contains natural moisturizers to help repair damaged hair and soothe your irritated scalp after using popular head lice treatments. to your regular shampoo, at least that is what I have done in the past. This shampoo does contain sodium laureth sulfate, an ingredient I tend to avoid as it irritates my son’s sensitive skin. Out of Africa is a unique company in that not only does it make organic, affordable shea butter soap, a portion of proceeds are donated to children’s education programs in West Africa. Shea Butter: Nature’s Miracle Moisturizer. Out of Africa’s shea butter products nourish the skin with 100% organic unrefined shea butter direct from Benin, West Africa. A natural moisturizer and emollient, shea butter contains antioxidant vitamins A, E and F and beneficial fatty acids that leave skin feeling restored and refreshed. 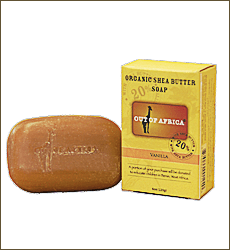 The Out of Africa line includes organic shea butter bar soaps, hand and body washes, lotions, body oils and organic unrefined shea butter tins. The natural scents used in our shea butter products are also available in the Out of Africa line of aroma fragrance reed diffusers. Our “other” mission: Producing premium quality skincare products is only half of our story. Lulla and Adamon’s partnership supports several women’s cooperatives and creates jobs in democratic Benin, West Africa. Out of Africa shea butter skincare also sponsors a groundbreaking project in Benin called SCHOOL CHILDREN UNITE. A portion of all sales is being donated to this global leadership initiative. Would I buy these product? Yes, if available in a local store. They are very affordable ($3 a bar), but shipping charges are the same as the price of a bar, so that doesn’t make much sense.